This time the anguish was heavier, more acute. One by one she fixed her gaze on some of the objects around her, the things that made up her familiar world, then her eyes lit on her own hands . . . and she saw they were trembling. Precisely at that moment she knew that behind her back was another world, a world that was complicated, threatening, unknown. She felt it to be so and she was certain she was not mistaken. Elisa tries to dismiss her hunch – perhaps her thoughts have been brought on by her ‘condition’ (she is pregnant), but gradually, her suspicions are borne out by scraps of evidence: Gilles lies; Gilles has a little bruise on his lip; Gilles does not make love to her in the morning. Elisa’s reaction is not to confront Gilles, for fear of driving him away, reasoning that ‘as long as the drama remains secret, it’s within his power to restore the situation to normal.’ Elisa clings, heartbreakingly, to tiny acts of kindness as proof that Gilles is still hers, that he still loves her. Returning from an assignation with Victorine, he rummages in his pocket for a bag of caramels he has bought her. Then he caresses her breasts and she lays her head on his shoulder. Here he was being as gentle and kind as always, and he’d thought about her, he’d bought her sweets . . . It was all so strange and impenetrable. Perhaps there was nothing wrong after all. But Gilles changes. He becomes taciturn and morose. He lacks his old vigour and takes no pleasure in his work. He no longer kisses her goodbye in the morning. And eventually Elisa cajoles the truth from him. But not wishing him to know how much she has been suffering, she does not admit that she has known all along, instead granting him ‘the privilege of confessing.’ And when he has expounding for some time about his ‘great fire’, she comforts him. All this might make Elisa seem like a pitiful sap, lacking all self-esteem, and perhaps there is an element of masochism in her, as if she finds in her suffering something ennobling. But Elisa is not a sap. She is kind and affectionate, and everything that has made her (and Gilles) happy is being laid waste. Her behaviour is not calculated. She simply wants her handsome, cheerful, loving Gilles back. ‘She is a woman without guile, without pride, without a philosophy.’ A kind of female counterpart to poor old Charles Bovary. All this is told with superb economy, in measured, limpid and flawlessly translated prose. 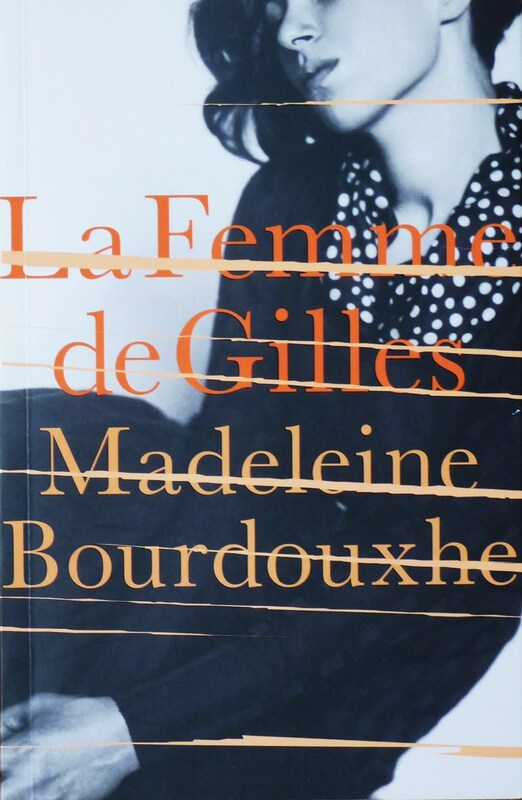 Elisa’s inner life is described without melodrama, although Bourdouxhe allows herself the occasional sentimental flourish (‘Her heart will bear the trace of that bruise longer than his mouth.’). Similar attention is given to the everyday objects – the lampshades, baskets, blankets and chairs – that surround Elisa and to the domestic tasks she so diligently performs; an attention that throws into relief the external ordinariness of Elisa’s life and her inner turmoil. The ending, when it comes, is quite devastating, and all the more so for the masterful restraint with which it is told. A beautiful, beautiful book, then; sad and exquisite, and the best novel I have read in a very long time. First published by Gallimard in 1937. Daunt Books edition, 2014, translated by Faith Evans. You can buy it here.